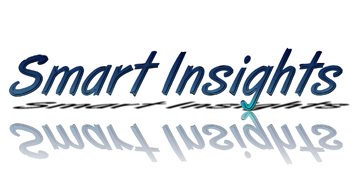 Smart Insights Weekly is a weekly newsletter covering the smart card and secure transactions industry, its businesses, its technologies, and of course, its markets as well as its technology suppliers. Smart Insights supplies you with timely information about mobile communications, payment cards and systems, electronic identity documents, transport ticketing, and convergence applications mixing mobile communications with payment. Smart Insights also publishes Smart Insights Reports, to bring you with even more information and analysis on the smart card and secure transaction industry. They are off-the-shelf research reports providing key facts and figures as well as strategic insights about a technology, a geographical area or a major issue in the secure transaction industry. Smart Insights Reports bring business modeling, market sizing, forecasting and competitive analysis. They include qualitative and quantitative analysis. Smart Insights is brought to you by Thierry Spanjaard, international consultant, who has more than 25 years experience in the industry, in a variety of positions.